Today is Lucid Dreaming Day! Thanks to the efforts of Daniel Love, author of Are you Dreaming?, Lucid Dreaming Day is a worldwide effort to raise awareness about the potential of lucid dreaming. Lucid Dreaming Day also commemorates the date that dream research pioneer Keith Hearne successfully had a lucid dreamer communicate to the outside world that he was dreaming. That date: April 12, 1975. 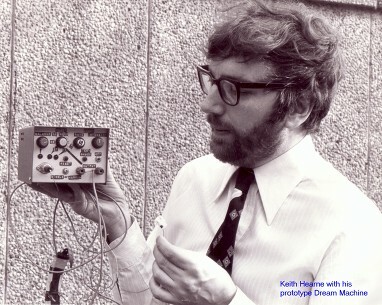 Keith Hearne’s dissertation on lucid dreaming at the University of Liverpool was published in 1978. He presented the topic at several academic meeting halls as early as 1977. Real life Inception! Hearne also holds a patent for the world’s first “Dream Machine,” which is now on display at the Science Museum in London. In Hearne’s pioneering lucid dreaming study, brain activity during sleep was measured via EEG and correlated with the experience of lucid dreaming via specific predetermined eye moments that served as signals (EOG) that the subjects were making volitional choices while asleep. Self-awareness in sleep…. the ultimate paradox! However, Hearne was not able to find a peer reviewed mainstream science journal to publish his findings. Meanwhile, apparently unaware of Hearne’s work, Stephen LaBerge and his colleagues in the United States used a similar laboratory method, and, in 1980, published their results in the journal Perceptual and Motor Skills. Together, their studies confirmed that lucid dreaming is not some kind of “micro-awakening,” but rather an actual state of mind capable of reflective thought. While the date chosen for Lucid Dreaming Day is a nice nod to the creative first that Keith Hearne achieved, in a grander sense the event is a celebration of all the creative potentials inherent in lucid dreams. Check out the event page on Facebook. There will be challenges, promotions and a whole lot of lucid dreamers gathering! 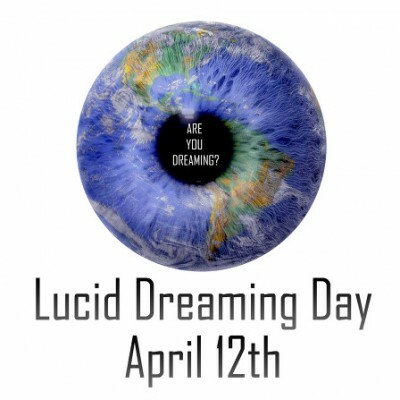 Use the hashtag #luciddreamingday on Twitter and Facebook so you can connect with other lucid dreamers. Check out Daniel Love’s website as well as Rebecca Turner’s for more Lucid Dreaming Day events and contests. It’s up to you! How can you live more lucidly and spread the word to people who are new to lucid dreams? To celebrate Lucid Dreaming Day, I’m also offering a small contest: the first 5 10 people who leave a comment on this post and describe their personal and most successful lucid dreaming technique get a free copy of my Lucid Immersion Blueprint (Advanced Edition). Note: If you’ve never commented before, it will go into moderation, but I will still honor the first five based on the time the comment is submitted. For the the next 5 days, through Thursday April 17, the Lucid Immersion Blueprint (Advanced Edition) will be available for 50% off. That’s a whole lot of lucid dreaming material (3 ebooks, and over 3 hours of audio interviews and instruction). 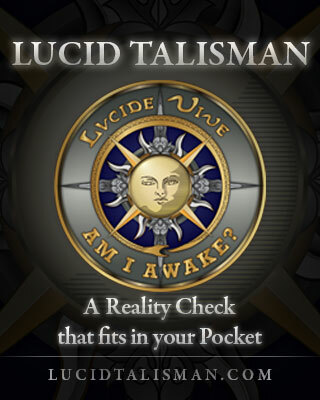 Click here to check out the Lucid Immersion Blueprint. So, what is YOUR secret sauce for triggering lucid dreams? Comment below and don’t forget to spread the word about Lucid Dreaming Day on Facebook and Twitter. I’ve never purposely tried to induce lucid dreaming, it’s always been something that happens naturally for me. I have found, however, that prayer/meditation before bed, sleeping in a dark room with no electrical devices, and leaving myself extra time (other than the time I need for pure recuperative sleep) between the time I go to bed and the time I have to get up provide a more conducive internal and external environment to lucid dreaming. I just woke up and seen your post. I had a dream tonight which wasn’t lucid but nearly. I found an old friend of mine and he said he had read in a magazine something I wrote about lucid dreaming. First he felt very seduced by the idea, but after that he decided it was not only dangerous for the western mind, but “pretentious”. I just made a joke -difficult to translate into english (I was speaking catalan)- and started talking about the many benefits of lucid dreaming. He closed his eyes and I yelled at him “listen to me, I’m speaking to you!” but then realized he was dreaming and laughed. I said to some people around “I convinced him, he’s trying to lucid dream!”. After that I was watching a movie about an experiment on the perception of reality. One of the researchers said there were three australian aborigins in the group who couldn’t be cheated. Well, there were a lot of clues in this dream for me to awake my consciousness but I didn’t 🙁 Anyway, when I woke up I thought in the dream I was honouring this Lucid Dreaming Day by spreading the word so others can take advantage of it. In fact, I think this is one of my techniques for lucid dreaming: divulging this state of mind, gets me closer and more sensitive to it. I’ll keep doing it in this Waking Physical Reality, specially this afternoon as I gather to a Dream Circle. I drink 2 glasses of red wine about an hour before bed. It relaxes me, it tastes great and best of all, it seems just the right amount of alcohol to give me a REM-rebound in the early morning. After I lightly wake from a deep sleep at about 4 o’clock. I take 15 minutes to incubate my lucid dream. Once I enter a lucid dream I immediately ground myself until on the edge of lucidity by focusing on a number of different objects and shifting constantly between them. Then I wake myself up. I don’t open my eyes but just do a dream reentry, going straight back to the dream. Sometimes the dream’s the same, sometimes not. It doesn’t matter I just repeat grounding technique from above and start the cycle all over again. The result is that I visited at least 4 different dream scenes from which I remember everything so vividly I can see and feel every detail all day long. Even if I re-enter the same dream, my mind seems to fill it with breathtaking and absurd new details. A side-effect for me is that every scene get’s exponentially more surreal after every dream reentry. My best technique to use for my lucid dreaming practice is to continually question my reality during the day. Not just a reality check but to ask myself. “How did I get here? What was I just doing? Is everything normal and rational?” I find that when I continually practice the art of lucid living then my lucid dreams are more plentiful! Thanks to my first 5 commentors! You’ll get a free copy of Lucid Immersion in your inbox later today. And great insights! This is so much fun — so I’m opening the contest up to 5 MORE prizes for the next 5 comments on your favorite lucid dreaming induction technique. I guess I have found the supplement approach to be the most reliable method for getting myself into a lucid dream. The routine I go with involves 1x5htp before bed, followed by 4/5 hours of solid sleep. 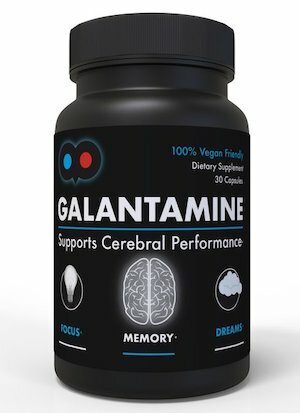 Upon waking (typically between 4-5am) I have 8mg of Galantamine as well as 1x Choline Bitrate. For the next 20 minutes or so I flick through my dream journal and also write down a couple of key goals and reminders for my attempt that night. I then turn out my light and sort of meditate for 10/15 minutes, trying to focus solely on my breathing as much as I can. My mind tends to wander all other the place at this point, but once I do feel fairly focused and relaxed I lay down on my back and just wait. If I can resist the urge to go onto my side, I eventually start to feel tingling sensations all other my body. This is the point where I think “here we go…” and then BOOM I suddenly feel like I’ve been blasted into space! I still can’t get my head around how mental the WILD transitions are when galantamine is thrown into the mix, but, from my experience, they do result in me being thrown fully lucid into a dream scene at an impressive frequency. I do however from time to time prefer to go for an all-natural approach and skip the supplements especially as I want to avoid building up too much of a tolerance for the substances. I’m trying to lucid dream for about 1 1/2 years now and had ~15 LDs the past couple months. For me it works best when I drink 1-2 liter water before going to bed. I automatically wake up after 5-6 hours – so I don’t have to set up any alarm clocks. When I come back from the bathroom, I’m of course very relaxed & relieved :p Afterwards, I write down some key words in my dream journal and turn out the lights again. I mostly put on some headphones and listen to binaural beats. It relaxes me even more and I can focus on staying awake better. After a few minutes I either enter the dream world through the WILD technique or do a reality check in my dream. To be honest, I can’t always stay awake for the WILD technique but it’s the most amazing thing I ever experienced. If I really fall asleep, my most used reality check is the one where I pinch my nose and still be able to breath through it. The moment when you realise it is just priceless – and then the fun part begins! I’ve never had much succes inducing lucid dreams myself using specific techniques, although I do have lucid dreams occasionally. I’m working on it, but I find many of the tips and tricks difficult to fit into my lifestyle and sleep pattern: I tend to stay up late and have trouble falling asleep, so I read a lot in bed. I always try to induce lucid dreaming by meditation. I go to bed an hour earlier then I normally do. I listen to a guided meditation that helps me relax my body and easy my breathing, totally have my body not move a muscle and meanwhile stay awake and alert because I need to do some simple tasks, like use my imagination, count down from 27 to 0. This makes me enter my sleep in a lucid way. First I feel numbness then start to see spics and hear pieces of sound. Slowly a complete dream scene builds up and I in a lucid dream! When I do fall a sleep during this meditation or induction the chance of having a lucid dream in the night is increased. Have a great Lucid dreaming day-night! Hi, I’ve recently got the lucid dreaming bug and at the beginning if my ‘journey of discovery’. I have no experiences of note to share but I hope to be able to return in the near future with some tips and experiences for those that are in the position I’m in now! All the best to all you lucid dreamers out there! Happy lucid dreaming day. I’m 39 years old, and I just had my first lucid dream last year. Before that, I didn’t even know if they were a real thing or not, but I have a good friend who assured me that they were. My first LC came randomly and unexpectedly, probably as a result of my conversations with my friend. I was so excited, I then discovered Rebecca Turner’s Site, then your amazing site, and then Stephen LaBerge’s book “Exploring the World of Lucid Dreaming”. Since then, I have had over 40 lucid dreams. On to the technique: I find that my best success comes from performing hourly reality checks as well as checks upon waking, and then hoping for a Dream Induced Lucid dream. I seem to experience a lot of false awakenings, and remembering to look at my hand closely and carefully count the number of fingers I have, will cause me to go lucid. In waking life, my hand is pretty normal, with all five fingers. But in my dreams, it almost always looks crazy with extra fingers, deformities, and so on. Always a reliable trigger. I also have had a bit of success with Wake Induced Lucid Dreams. Sometimes these happen by surprise when I am near waking or between dreams in hypnagogic reverie, and turn into sleep paralysis. Other times, I will wake naturally and lay on my back performing a relaxation technique like a body scan. I have trouble falling asleep on my back, so When I feel a natural urge to roll over, I get comfy on my side or stomach and stay absolutely still no matter what. Then I meditate with the breath. Sometimes I count the breath from 1-10 and then start over, just to stay vigilant. As I exhale, I focus on the sinking sensation of my head being pulled into the pillow. I try to notice the tingling in my body for signs of sleep paralysis, but at the same time, stay with my the experience in my head. Eventually I will either fall asleep (and sometimes, snap back into alertness) or I will ride the meditation into full-blown sleep paralysis. When I do manage to do this, I am usually treated to an intense visual slideshow of random images, followed by the feeling of leaving my physical body and entering a dream body. At this point I usually feel like my physical eyes are fluttering open. I try to hold them shut, but soon discover that they are my dream eyes opening. By this point the vibrations are gone or leaving and I am either in a dream version of my room, or in a random location. Only once, have I been able to visualize the beach and found myself floating down to enter a dream character’s body that was running on the sand along the tide. I checked my hands and discovered that I was lucid dreaming in that body. Then I was off on my adventure. Thank you for the great site and articles! The closest to lucid dreaming for me, is me asking myself if I was dreaming, but then the dream ended. Sometimes I would like to really experience it, to help with my daily life, but then I get scared to. Just came across your webpage this morning after another dream fun filled night. I dreamed I was surrounded by stars…. Prince, Justin Timberlake, Justin Bieber, Carly (Laura Wright) from GH, one of the Jackson girls etc… at a party in a rural area of the mountains etc. they all spoke to me , Prince grabbed my hand to walk with him… went into a dream inside my dream to propose a development to the stars for a Mountain get a way in the middle of Front Royal VA. I saw what they would look like in color, detail etc…I have always had vivid dreams. I dream of the past, present, future, dead loved ones etc. Forever Dreams. BTW I am 43 years old. thanks everyone for commenting –really good material here! these days I am not incubating but letting the dreams come to me. It’s lowered my lucid “totals” but the lucid dreams I do have are profound and memorable. This is a nice “flow” approach for those who aren’t champing at the bit to go lucid. I know whenever I need to to I can set up an Immersion, it’s that reliable now that I know what works for me– that’s the real work, as we all have unique sleep needs and lucidity triggers.